Even as people have embraced the smartphone as one of the most powerful tech products, they are keeping a wary eye on the addictiveness of turning on the device to check for social-media updates, read websites and play games. Some studies have tied extended screen time to distraction in classrooms, sleep deprivation and depression. Just one problem: I do not have a child, so I needed to borrow one. Fortunately, my editor gleefully volunteered her 14-year-old, Sophie, to be a test subject. So last month, I lent Sophie an iPhone X loaded with an unfinished version of iOS 12, Apple’s new operating system, that included the Screen Time feature, which is set for release this fall. We set up the account so that I was a parent, with the ability to set limits, and she was my child. First, a primer on how Screen Time works. The feature, which lives inside the iPhone’s settings, shows a dashboard of data about your iPhone use. You can look at your stats for the day or week, including the amount of time you spent on specific apps and on the phone overall. Inside the dashboard, you can create time limits for specific apps or categories of apps, like social networking or games. When you run out of time with an app, it locks you out. Over three weeks, I studied Sophie’s phone-use patterns along with mine. 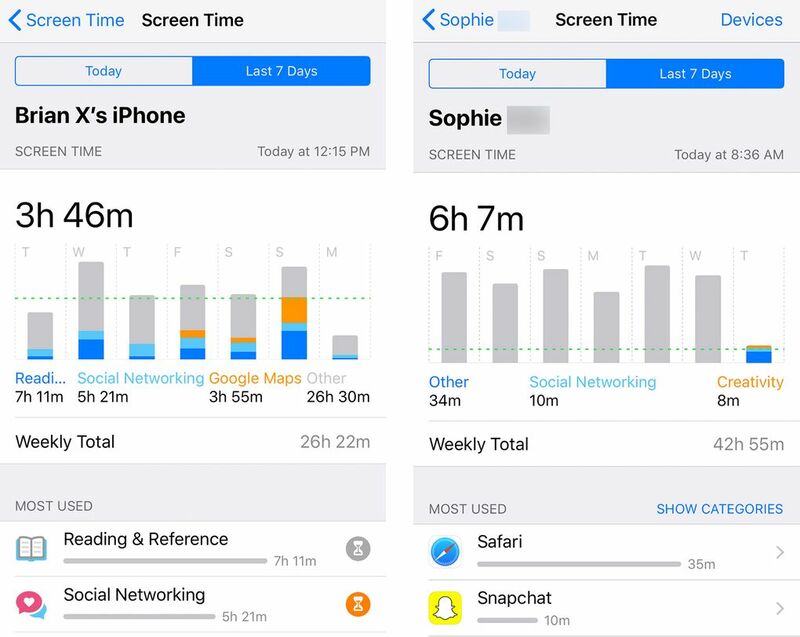 After determining the apps that we spent extraordinary amounts of time on — Sophie spent hours each day chatting with friends on Snapchat, and I wasted too much of my life reading Twitter — I placed a few time limits on each of us. Here is how that turned out. During Week 2, when she was trying to withdraw from her phone, strange things started happening to Sophie. After the screenager first used up all her time on Snapchat on a Tuesday, she told her mother that she felt “triggered” (which I would learn is slang for feeling annoyed or incensed). She later told me that she had realized she would open her phone and just stare blankly at the app icons to avoid using up her limit on Snapchat. But in the end, the results were satisfying. Sophie’s average daily phone use plummeted by about half, from over 6 hours during Week 1 to about 3 hours and 4 minutes during Week 3. My average phone use decreased 15 minutes a day, to about 3½ hours. I still think we spend too much time on our phones, but Sophie’s progress made this faux parent proud (and ashamed of himself). For most of the first week, a bug prevented me from seeing Sophie’s Screen Time statistics. But at the end of the week, after Apple released a software fix, her weekly stats appeared. They revealed that she had used her phone for 6 hours and 7 minutes a day on average over the week. I could also see that Sophie was sometimes sneaking glances at her iPhone past midnight, when she was supposed to be asleep. I gave myself the same 1-hour limit for social-networking apps. But instead of setting a limit for games, I opted to nip my Zynga Poker addiction in the bud by deleting the game and kissing my dreams of being a fake-money billionaire goodbye. My average screen use barely decreased — to about 3½ hours a day. On some days that week, Sophie’s phone use was lower than mine. Tuesday afternoon, her screen time dipped to about 2½ hours, whereas mine had already exceeded 3 hours. At this point, I felt pathetic. 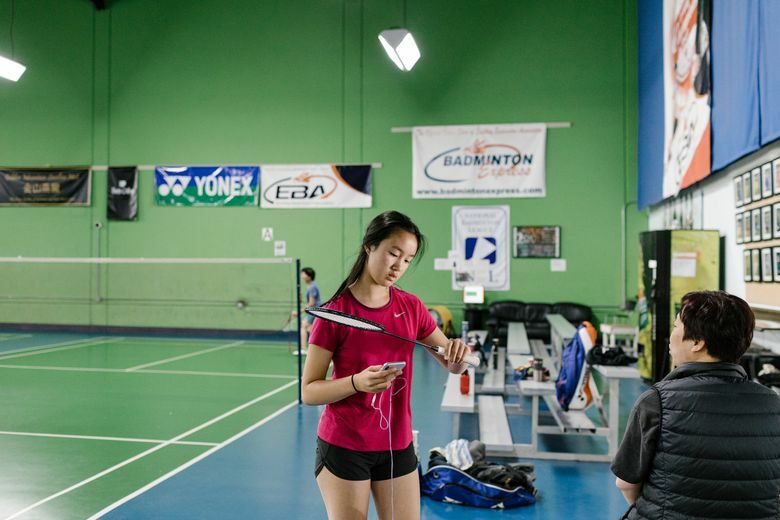 (If I were young, I might have said I felt “triggered.”) I asked myself: What kind of parent am I if I am more addicted than my teenage daughter to a smartphone? Who would listen to this degenerate? Yet in the end, my average daily use for the week was 3 hours and 36 minutes. That is largely because on the Fourth of July and throughout the weekend I spent a total of 8 hours driving — with Google Maps running on my phone screen. That does not seem as if it should count against my Screen Time since my eyes were mostly on the road.